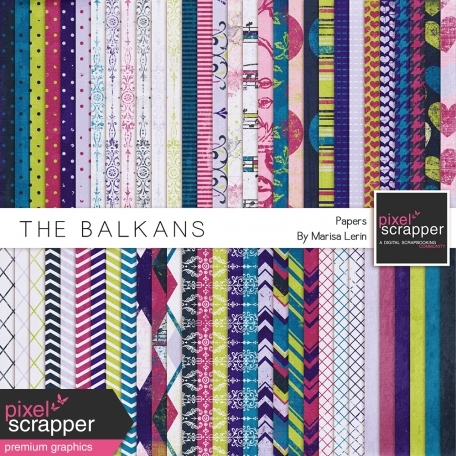 Click here to check out all kits in the The Balkans Bundle! WOW, what an excellent group of papers, thank you!! Love the colors and all the varied papers. Thanks! The First kit downloaded..... Just perfect! My first full kit download! Love this! I love these colors! They go so great together. Ahhhh! This just gave me a rush of giddiness! :) I love instant inspiration! Thanks Marisa! oh the whole kit is gorgeous!! Awesome colors for the whole family! Can't wait to get started using them! What a variety. These are great. I am in the process of DL'ing this paper pack, and I must say, I love them allllllll! Wow, beautiful papers. 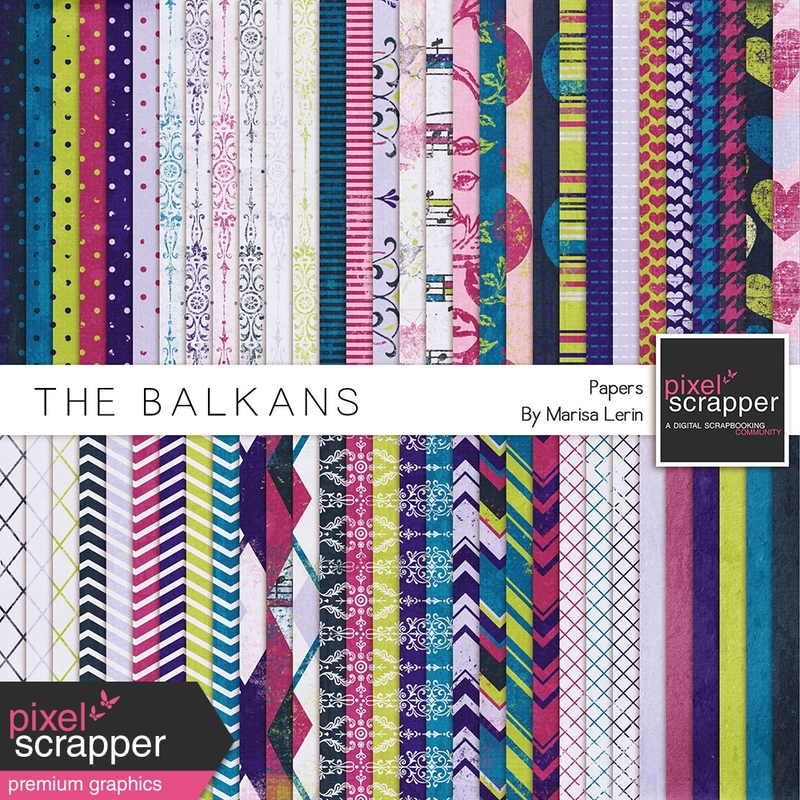 I wish these came in a actual scrap book kit! I'd use them for everything. Thank you for this kit. I love it very much. It will do very nicely for my project. omg! this kit looks amazing! the colors and patterns are gorgeous!! thanks so much for sharing all your hard work and talent!! Thank you! Love the vibrant colors in this kit. wow, these are gorgeous! I love the colors so much!